Below you will find list of Top ICSE Schools in Kochi 2019. Auxilium English Medium School is a co-educational day school and is affiliated with the Council for the Indian School Certificate Examinations (CISCE), New Delhi. Carmel English Medium School is affiliated from the Indian Certificate of Secondary Education (ICSE) curriculum. Don Bosco Senior Secondary School is affiliated with the Council for the Indian School Certificate Examinations (CISCE), New Delhi. JeevassCmi Central School, a Co-Educational School is affiliated to the Council for the Indian School Certificate Examinations (CISCE), New Delhi and offers education from Class 1 to Class 10. Matha Nagar Public School has started its journey with a vision to cultivate citizenship qualities, such as good behavior, courtesy, good manners, self-respect, self-confidence, gentleness etc. Mount Tabor Residential Central School is an English Medium School open to all communities. 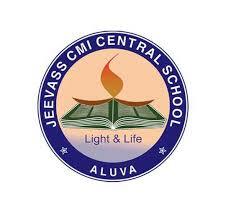 Jeevass CMI Central School is a co-educational day school run by Jeevass CMI Educational & Charitable Trust.